Aomei Partition Assistant Standard 7 offers all the basic disk management facilities like the copy, resize, delete, extend and format the partition, but unlike other disk utility tools, Aomei Partition Assistant SE 7 also has the ability to create a bootable Windows PE OS, which will help you run Aomei Partition Assistant SE from boot. With the release of Aomei Partition Assistant 7.0, Windows on Go is no longer available for enterprise users only, now general Windows users can also create a portable version of Windows using Aomei Partition Assistant 7.0. This feature is available in Standard and Pro version both. Aomei Partition Assistant SE is a free disk management tool with all the basic functions as well as some advanced functions, which you can’t find on any other disk management program. Pro version has some great features and is worthy of upgrading which costs around $54.95 for a lifetime license with free upgrades for life. 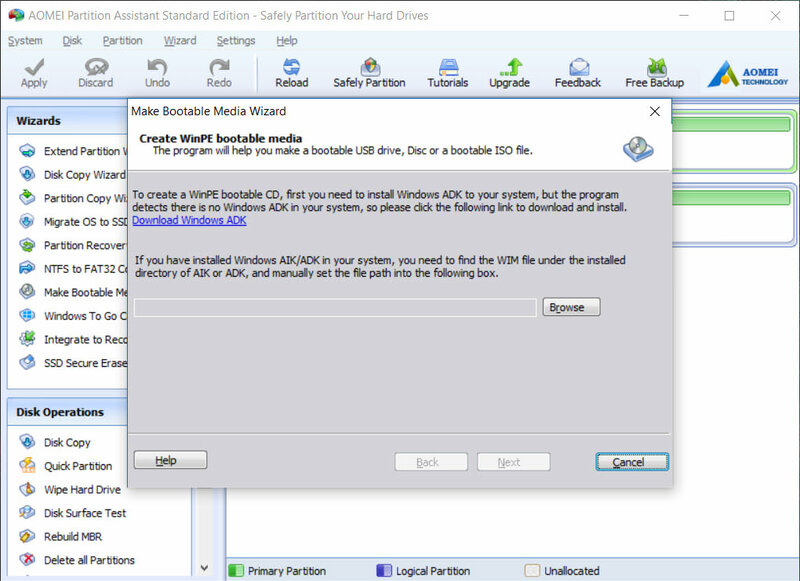 What’s new in Aomei Partition Assistant 7.0? 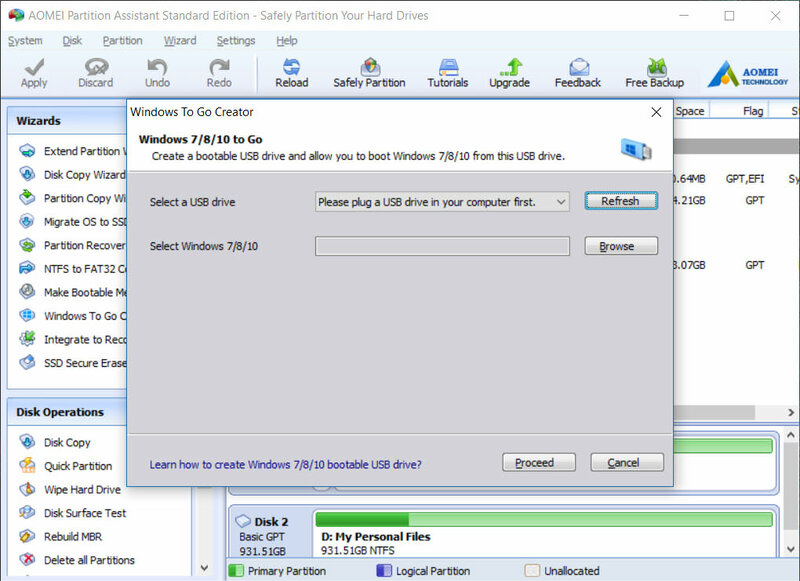 The new feature introduced with the latest version of Aomei Partition Assistant is Windows on Go, which is portable Windows that can be carried on your USB devices but will work on Windows 8 or later versions. This feature was only available with the enterprise version of Windows before. With Aomei Partition Assistant 7.0, you can now create a bootable Windows PE(Pre-installed Environment) disc or USB as well. Aomei Partition Assistant’s user interface is very much similar to Windows XP, which is at least a decade old, but it’s very clean, simple and easy to use from a list of all available features at the left side of the program’s main interface and a pane displaying your system’s drives and partition on the right. Connect a USB or any other external storage device to your computer. and select the “Windows to Go Creator” option from the Wizard from the Aomei Partition Assistant menu. A new dialogue box will appear showing the portable storage device attached to your system. Now click on browse button given in the dialogue box to select Windows 8.0 WIM (Windows Installation Media) or ISO file as the source to create a live version of your windows on your external storage device. Please note that to create a portable version of Windows using Aomei Partition Assistant, users will need a certified USB 3.0 external device with 64GB of minimum internal storage and license key to activate the Portable version of Windows. What else you can do with Aomei Partition Assistant 7.0? Apart from the features as described above, you can also change your disk properties (inactive to active) and securely wipe your data from the disk. 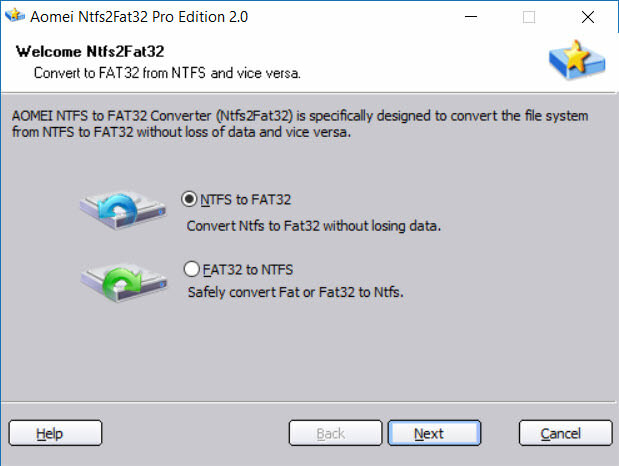 You can also convert your disk from NTFS to FAT32 and vice versa as well as migrate to a new HDD or SSD. Features available in pro version only. Users can allocate free space from one partition to another. You can align partition using the program or command, or you can also perform quick partition with Aomei Partition Assistant pro. Aomei Partition Assistant Pro allows you to convert a system disk from MBR to GPT and vice versa. It can change your partition from Primary to logical as well as the partition type ID. Aomei Partition Assistant Pro is also capable of changing the serial number. Conclusion: As a disk partitioning tool, Aomei Partition Assistant is much better than its competitors. I have tested many disk partition tools and haven’t found any better alternative for Aomei Partition Assistant until now. The standard version has almost everything to offer that most users will ever need, but the pro version is still a very good choice. PrevPreviousGIVEAWAY/CONTEST: OnePlus 6 International Giveaway!